Paul Miller and Ed Boyenga at work in a CKVR Television control room. 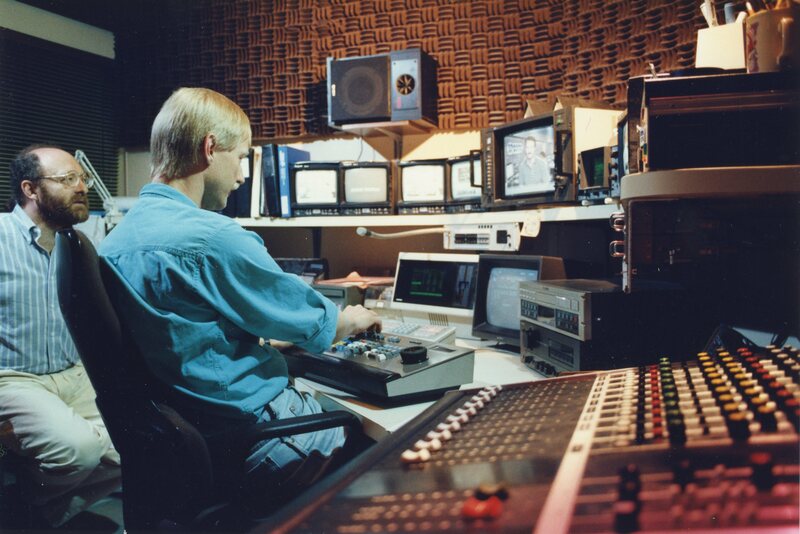 Home/Paul Miller and Ed Boyenga at work in a CKVR Television control room. Tags: CKVR, CKVR Studio, CKVR Television, CKVR Television Station, Control Room, Ed Boyenga, Paul Miller.